Lexington, Ky. – The top National Show Horses from across the country are gathering in the heart of Illinois at the Illinois State Fairgrounds for the 13th annual National Show Horse Finals. Hosted by the National Show Horse Registry (NSHR), a packed weekend of competition kicks off tomorrow, September 13-15. The versatility and beauty of the National Show Horse will be proudly displayed throughout the weekend as judges Cary Bartz (Stillwater, Minn.), Donnie Bullock (Fredericksburg, Va.), and Lisa Corbin (Ashland, Ohio) crown this year’s champions. With well over 200 classes on offer, the National Show Horse Finals showcases top riders and Half-Arabian horses in a variety of championship classes, including pleasure driving; fine harness; saddle, hunter, and Western seat equitation; in hand; and much more. The competition is also a qualifying show for the Arabian Horse Association’s (AHA) Region 11 Championships and U.S. National Arabian and Half-Arabian Championship Horse Show. The National Show Horse represents the epitome of the modern-day show horse as a combination of at least 50% Arabian blood and any other breed. Horses showing at the Finals must be registered with the NSHR and as Half-Arabians with the AHA. The most common combination of breeds is the Arabian and American Saddlebred. Beauty, stamina, agility, and athleticism result in a family-friendly horse that excels in and outside of the show ring. 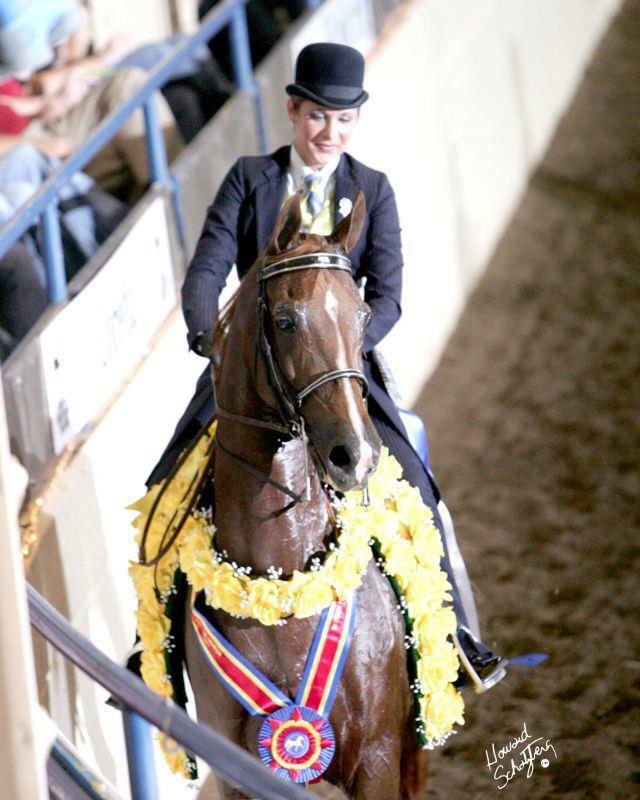 The Finals also boast a non-sanctioned division for horse lovers new to the National Show Horse breed called the Arabian/National Show Horse Community Tournament Championships. Much like Academy classes at other breed competitions, the purpose of this division is to introduce potential new owners to the joys of showing and riding the National Show Horse by giving beginning riders an opportunity to gain experience through beginner equitation and horsemanship classes in the saddle, hunter, and Western seat disciplines at NSHR horse shows. The National Show Horse Registry is a recognized affiliate of US Equestrian. Keep up with the National Show Horse Finals and the National Show Horse by following the NSHR on Facebook. Find out more about the National Show Horse and all of US Equestrian’s 29 recognized breeds and disciplines in this Learning Center video. Join the conversation and follow US Equestrian on Facebook, Twitter, and Instagram. Use #JoinTheJoy.